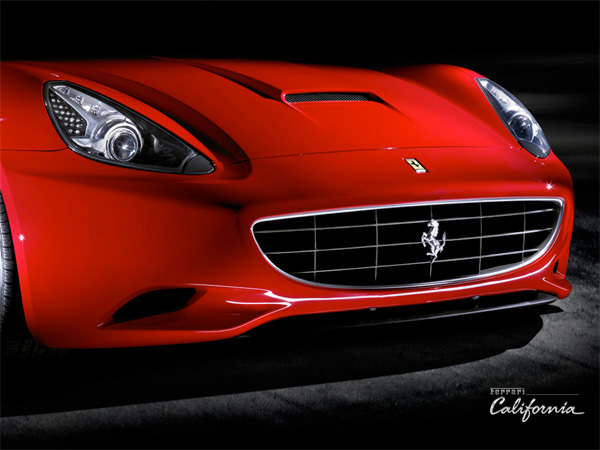 Stunning 2009 Ferarri California. Actually rather impressed with their site, and the videos and content provided ~ the “HEAR” section is my favorite so far. Few official pics on the next page, also check out the gallery at AutoBlog - they just saw it in Paris! 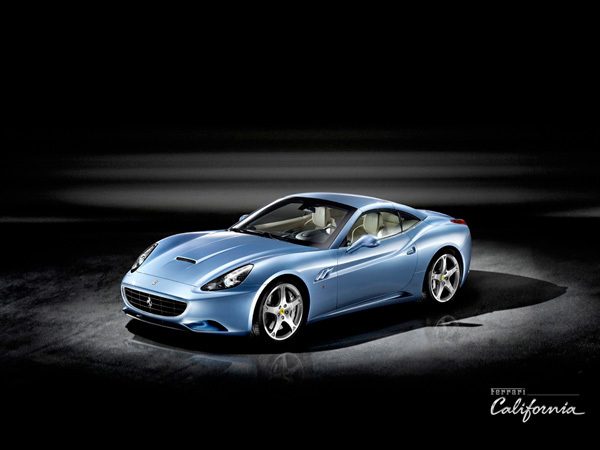 The Ferrari California is stunning. Absolutely beautiful in all given colors. I am not prepared to buy one at this time, possibly in the near future. Have been trying to decide which color. Possibly Red - Black on your floor show at Paris, I believe is stunning. 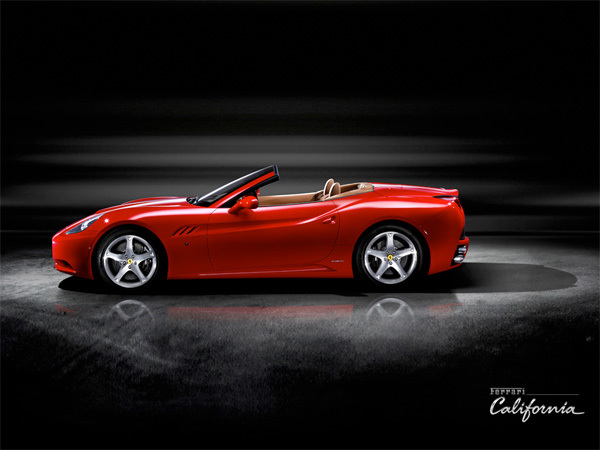 I saw a black California driving around Maranello in July. They look stunning in person! 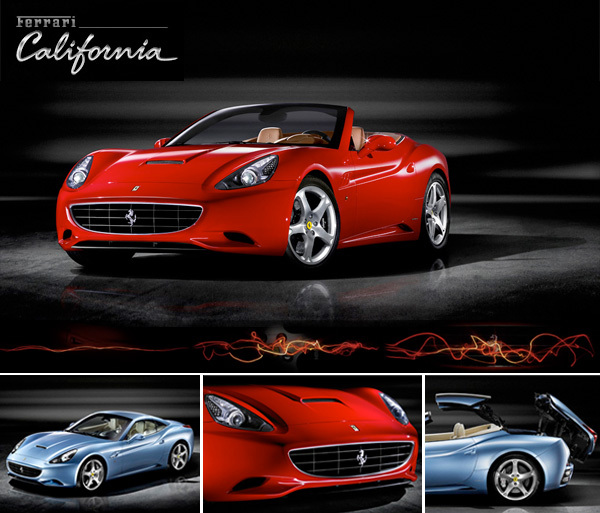 Everyone thinks ferrari’s are good looking on principle… that second picture from the top showing the huge, gaping mouth and the pulled-back eyes illustrates just how ugly this thing really is. If you want a really beautiful Italian supercar, check out the Alfa Romeo 8C. 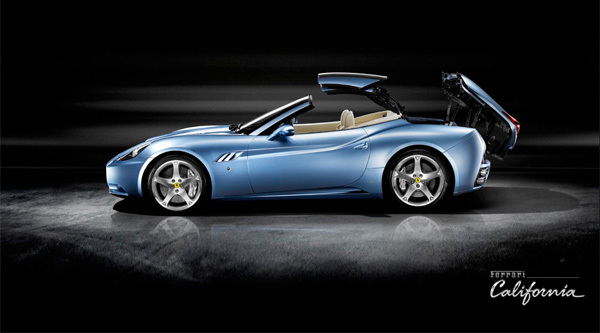 Its still not exactly a good looking Ferrari. The side graphics are busy and doesn’t flow with the rest of the design.